Taste of Sydney is a huge event with many of the city’s leading chefs and restaurants bringing their signature dishes to Centennial Park over four days. Once you’re in the gate, you can wander around with tasting glass in hand and snack on free samples of delicious fare, as well as selecting taste-sized dishes from the many top restaurants on offer. There are also some fantastic classes, workshops and food labs that are not to be missed. You name it, you’ll find it here! From jams and truffles to suckling pigs and decadent desserts, Taste of Sydney offers something for every palate. There’s also an incredible array of wine, cocktails, craft beer and spirits available to be enjoyed. The real advantage of this festival is that you get to sample a vast range of dishes and drinks from top food producers, all in one place. What is Taste Credit all about? If you’ve never been to Taste of Sydney, you may not be aware of the Taste Credit system. This takes the place of cash and it works as a debit card that all producers and restaurants can easily accept. It’s easy to top up your card before arriving or once you’re at the event, and any unused credit can be refunded at the end of your Taste experience. Where is Centennial Park in Sydney? Taste of Sydney is held almost smack bang in the middle of Centennial Park on the Brazilian Fields. Centennial Park itself is about 4 kilometres south-east of the Sydney CBD. While you’re in the area, why not explore the greenery and waterways of this lovingly maintained heritage park? Where is there to stay nearby? Chat to the helpful guides roaming around to avoid missing out on the most exciting stalls, and get down to the Electrolux Taste Theatre and Chef’s Secrets sessions to watch some of Australia’s best chefs reveal their secrets. 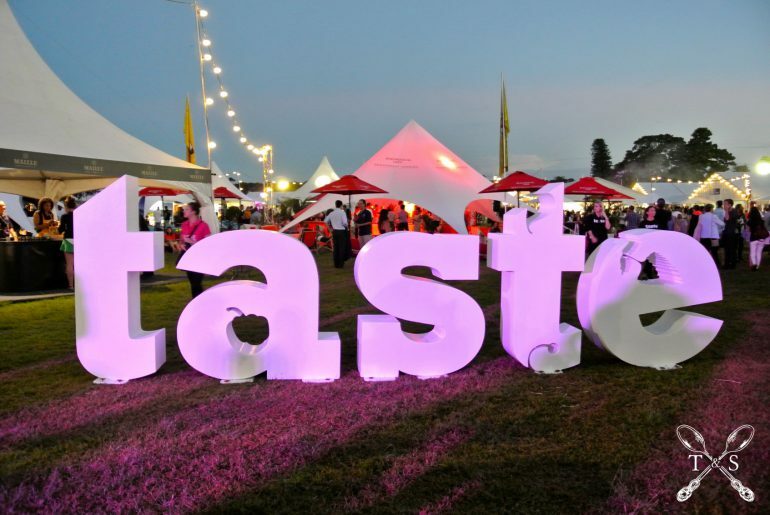 Other than that, check out sydney.tastefestivals.com for ticketing and event information, and we’ll see you there for a wickedly delicious weekend!